It’s a wet and windy Saturday afternoon. The Spanish protestors gathered at the Spire have painted balloons with slogans forecasting a Revolution. Moore Street is quiet but for a vendor who’s shouting “umbrellas aunl’ a foiva” again and again and again. 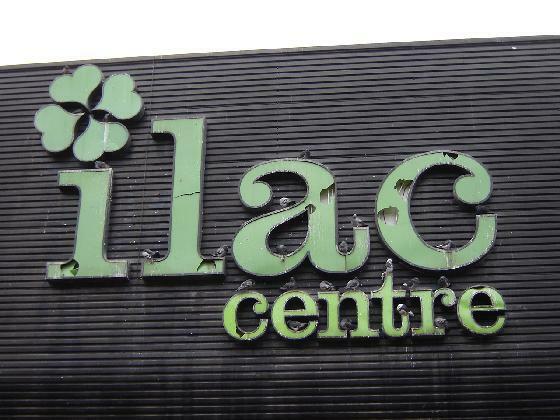 Inside the Ilac centre, broadband salesmen and the pumping beats from cheap clothes stores are competing for shoppers’ attention. A little boy pressed into a communion suit is dragging his parents into Game. Then, as you go up the stairs and the automatic gate pulls you in: silence. Seated at one of the desks is a man who has taken off his brown leather watch and propped it up against an empty bottle of peach ice tea. If you are close enough, you can hear the swish of his highlighter pen over a paragraph about marketing strategy. The air is musty and the carpet tattered. A security guard moves suddenly and the keys attached to his belt jingle to the background hum of a hoover, which has just come on. The faces are either young and foreign or Irish and old. There’s a special table reserved for the elderly and at it spindly fingers are crinkling the pages of newspapers. Blu-tac-ed to one of the shelves is a laminated poster, which reads “Books can help”. There’s a single title lying on that shelf. It’s called When Parents separate- helping your children cope. The stench of a tweed suit comes and goes. For a split second, it’s silent again. Then the bounce of a book spine as it’s returned to the shelf: Closing time. Outside, it’s cleared up. Yer man is selling fake Adidas tracksuit tops now. The protestors are gone from the Spire but there’s a single black balloon bopping about in the breeze. This entry was posted in Columns, Features and tagged Culture, Ilac Library, Life, postaweek2011 by Kate Katharina. Bookmark the permalink. I did indeed 🙂 I can tell you’re a loyal reader! This is such good writing! Your blog makes me really want to visit Ireland – even more than I did before! Great color! You took us from where we are now to where you were. Excellent! Great imagery and fine writing. Thanks so much R! Really glad that the scene was brought alive to you. Good stuff Kate. Lots of great detail, but for some reason this is my favorite line: The faces are either young and foreign or Irish and old. Not the most descriptive, but says a lot.